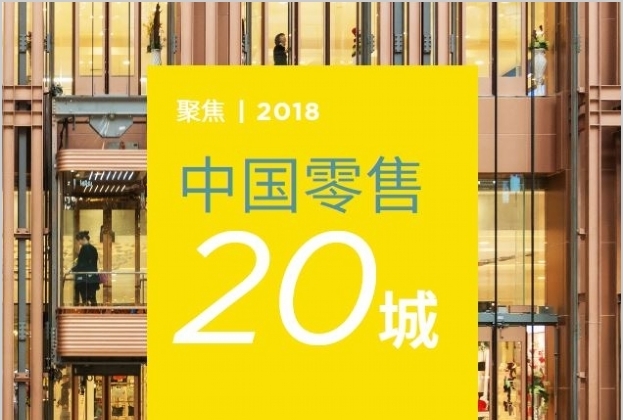 Savills recently published the 2018 edition of China 20 retail cities report. The China 20 retail cities study, which began in 2014, compiles 16 key economic, demographic and financial indicators as well as over 50 retailers to determine leaders in the retail market. Cities: Shanghai, Beijing, Shenzhen and Chengdu remain at the top for four consecutive years while Hangzhou and Changsha significantly moved up in the rankings. Shanghai remains atop at the retailer index ranking in 2018 thanks to its strong activities in mass market and mid-range fashion. The city’s diversification of its F&B market also makes it the most attractive to international F&B brands. Beijing maintains a comfortable lead when it comes to top-tier luxury store numbers and catches up on affordable luxury and premium beauty stores. Fourth place ranking in the retailer index. However, third-placed Shenzhen extended its lead slightly over Chengdu thanks to the opening of two landmark projects. The 2018 retailer index saw Hangzhou and Changsha rise significantly in the rankings. Hangzhou replaced Guangzhou at No. 5 while Changsha moved up for the fifth consecutive year as a result of the growing luxury market. Retailers: F&B continued to outperform the fashion sector. Three sub-sectors of fashion recorded the most comparable growth rates in the last five years. The report studied store openings of 50 international brands in the year leading up to mid-2016—during that period, only the luxury sector recorded a fall in store count in both first and second tier cities. Mass market fashion and coffee brands maintained a healthy rate of expansion with average store number per retailer per city increasing 18% and 16% respectively. Luxury brands, having recorded better sales volumes over the last 12-24 months are once again looking for opportunities outside the country’s two gateway cities—Beijing and Shanghai—with the average number of newly opened luxury and affordable luxury stores similar across the other 18 cities. A bigger variance can be seen in mass to mid-range market, where Shanghai and Beijing recorded four to five times the number of new stores openings per retailer than the other 18 cities. Consumers in lower-tier cities showed higher acceptance and preference of international luxury brands than mass and mid-range brands, which face stricter competition from online, value-for-money products and domestic brands. Outlook: The difference in market maturity between different regions and the emergence of new technology is expected to bring new dynamics to bear on the retail market. 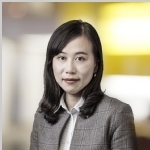 Turbulence and uncertainty in the residential and stock markets, as well as the continuous deleveraging of the financial market and trade disputes between China and US, are straining the underlying fundamentals of the economy and may impact consumer sentiment in the near future. The changes in a city’s retailer index denote the opening of new landmark projects. In the next five years, top five highest premium supply cities will concentrate in central and western China with Shanghai as the only exception. The retail environment in core central and western cities are expected to further benefit from this trend. Large scale retail developments in various cities and the upgrade in retail offerings have led consumers to expect more from the city’s existing stock. Investors are looking for ways to capitalise upon this demand through the renovation and revamping of smaller retail development in prime locations.